Posted on 23rd April 2018	under News. UC Today have reviewed one of Ericsson-LG phone system platforms, suitable for small businesses. They explore the features of the system and the benefits of unified communications. DataKom is a Platinum Partner with Ericsson- LG and provides organisations of all sizes with innovative business solutions and new technologies. As small business solutions for unified communication go, Ericsson-LG’s iPECS is one of the simplest and fastest to implement on the market. Communication solutions are linked together on a single platform and could enhance your workstream. 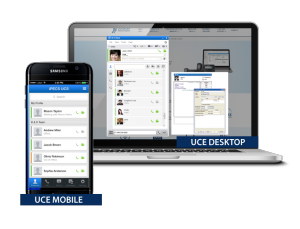 Ease of Use: iPECS offers a uniquely simple and easy-to-access system for unified communications. You don’t need to undergo special training to tap into new connectivity strategies. Video, conference calls, instant messaging and more are all available on the same easy-to-understand platform. Innovation: Your company might be small, but it still needs access to the latest tech solutions. iPECS UCP helps you make the most of the latest tech on the market, including enhanced SIP strategies. 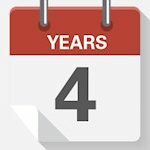 Reliability: Resilience matters to any company, but it’s particularly important for a small business in the first stages of growth. The Five Nines dependability offered by Ericsson-LG and iPECS is great for peace of mind. Integration: Want everything in your company to work well together? iPECS is designed to play well with a range of enhanced Ericsson-LG applications and other specialist solutions. It also integrates with Microsoft Outlook too. UCToday.com is an online news and reviews publication designed specifically for the unified communications industry.